Are you currently a homeowner and have you been living in your house for a long period of time? Do you consistently make payments every month toward your Hamilton mortgage and are in need of some extra funds? Well, if this is you then you may be able to qualify for a home equity loan. 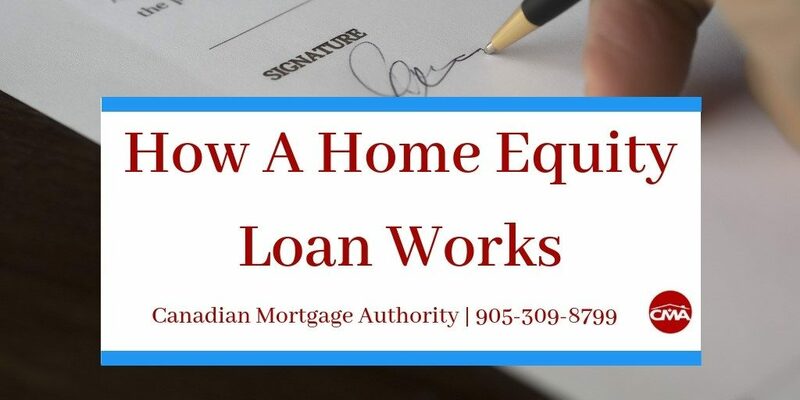 So, to help you get started, your local Hamilton mortgage broker with Canadian Mortgage Authority has listed how exactly a home equity loan works. If you are currently a homeowner and have been making regular payments on your mortgage, you have most likely accumulated a lot of equity in your home. Home equity is the difference between your home’s overall value and the amount you owe on your mortgage. So, the more payments you make towards your mortgage, the more equity you may have in your home. Once you sell your house you immediately gain access to your equity, however, there is a way you can access that money without selling your home and that is through a home equity loan. A home equity loan is an additional loan taken out on top of your primary Hamilton mortgage. With a home equity loan, you are borrowing against your house, which means your home is put up as collateral. This is why you are able to receive low, competitive rates on a home equity loan. To qualify for this type of loan, you will need to have at least 20% equity in your home. This means you can borrow up to 80% of your home’s appraised value. Once approved, you will be given the lump sum of money at once and can use this amount of money however you please. You can use it to fund education, pay off high-interest loans, use as a down payment to buy more real estate, go on a vacation, or to renovate your current home. As a Hamilton mortgage broker we have access to many different lenders, each with their own suite of products. This enables us to offer many different options for a home equity loan. Whether you need a secured line of credit, fixed term mortgage, or a combination of the two, your Hamilton mortgage broker can ensure that you receive the best deal possible. For more information on how a home equity loan works or to get started on your application, please contact your local mortgage broker in Hamilton with Canadian Mortgage Authority at 905-309-8799.